Team Challenge Company were as excited as ever when arriving up the drive at the fabulous Gleneagles Hotel to deliver a wonderful evening of Fun Casino Night entertainment for the team from HighNet, who had been enjoying a full weekend of corporate events and activity ideas at the world-famous luxury resort in Perthshire. Having enjoyed an extra special ‘Taste of Scotland’ dining experience, our guests were welcomed into the Terrace Room where a night of exciting entertainment lay ahead. Our HighNet guests each received a starting capital of £30 fun-money each, and aimed to be named legendary gambler and spin their fun-money up as much as possible to take home the much-coveted Team Challenge Company Winner’s Trophy. With Roulette, Blackjack and Texas Hold’em Poker all on offer, and our professional croupiers on hand to provide assistance (much needed for some…Kevin…!!! ), this was sure to be a night to remember. There were numerous highlights throughout the Fun Casino Night experience, from Maggie the Blackjack Queen, who won a fortune early doors (and then blew it all! ), through to the sensation Poker skills of Andy, who won our first Turbo Tournament of the evening and walking away with the entire prize fund…what a legend! It didn’t last long though, as he was soon back to our rogue banker asking for a loan…one which he is still to pay back, and currently owes the Fun Casino Bank of Team Challenge Company £1200! Catriona was another guest to re-buy on the evening, but managed to turn her fortunes around over at the roulette table and cashed in for a very respectable £850 at the end of the evening – though she had owed the bank £900! Further highlights came over at the poker table, where during our second tournament of the evening, David went on a massive run (not sure if this was due to good play or good fortune – most of the table felt it was definitely luck over skill…!) and found himself heads-up for the prize pool with the now world-famous Big T. Though he battle valiantly, David’s luck alluded him when he needed it most, and Big T took the win! With just a few minutes of the Fun Casino Night to go, there were frantic rebuys all over the shop, all guests trying their hardest to get that one big win that would see them crowned champions! When all was said and done, all those with chips remaining (only 5 guests out of about 35 that started…!) cashed in and waited in eager anticipation for the winner to be announced. But before all that, we had to find out who amongst the group was taking home the Wooden Spoon. There were certainly plenty of candidates, from Kevin who came to the bank on more occasions that anyone else, through to Finance Director Scott, who obviously lost all ability to keep himself out of the red and in the black on the evening. However, there was one gambler who out-stripped all others when it came to losing money…the mighty Graeme, who managed to lose an impressive £4500 (and almost his car)! Without further ado, our champion was to be crowned, and though he had lost plenty of money earlier in the evening, our winner managed to hit one big number on the Roulette and score a massive final total of £2400 – the one and only, JC! A fantastic night of Evening Entertainment had been enjoyed by all, with the amazing team at Gleneagles Hotel making the experience all the more special. 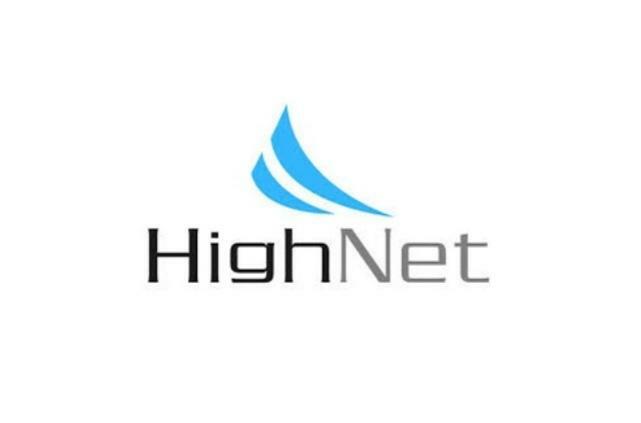 A huge shout-out and thank you must go to David for all his efforts in organising a wonderful night for the HighNet team – it was certainly a pleasure to work with you all, and we certainly hope to see you all again in the future. What a fantastic and hilarious evening of Fun Casino Night entertainment this was, at the always magical Gleneagles Hotel. So many ups and downs through the night in terms of money won and lost – my personal highlight still being Kevin’s ‘Please, just one more loan’ comment after having already borrowed on 5 previous occasions! A big congratulations to David for organising such a great night of fun for the entire HighNet team – it really was brilliant to work with you all, and look forward to a re-match on the Poker Table David!